Cheese and beer both offer incredible variety. Lagers to lambics, bloomy rinds to blues—the taxonomic kingdom of each is vast. And, of course, beer goes with cheese are a natural duo. But with so many options, how do you go about selecting the proper pairing of each? We put together this guide to answer that very question. 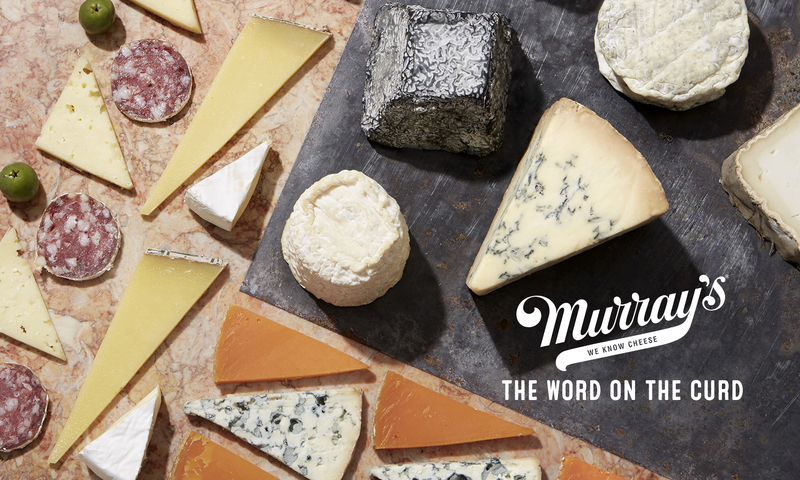 Presenting: The Murray’s Guide to Beer & Cheese. Decadent, buttery cheeses, like double and triple crèmes, call for relatively bubbly brews to cut through the richness. The best beer for that is a Belgian ale, either pale or golden—the kind that comes in a corked bottle that you pop like champagne. The cork signals in-bottle fermentation, which provides the proper effervescence. Why do these two work so well together? 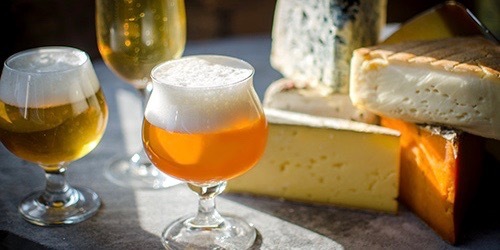 An IPA is hoppy and bitter, which holds up well alongside the crumbly, acidic properties of a traditional cheddar. A well-aged gouda has a wonderfully caramelly, butterscotchy quality, and calls for a beer that is just as full-bodied and subtly sweet. That’s the profile of a good stout, with notes of roasted coffee and dark chocolate. Washed rind cheese was born of Trappist beer, when one day, a monk notice an unwanted color on some cheese he was aging. He dipped a rag in some beer, rubbed it on the wheel, and both removed the coloring and inadvertently developed a new style of cheese. Naturally, one goes quite well with the other. The profile of an alpine cheese is nutty, roasty, and slightly sweet. That’s the very same profile of a brown ale as well. As one of our pairing principles goes: Like goes with like. It’s no wonder alpine cheese and brown ale is such an excellent match. On a cheese plate, blue cheese is often paired with something sweet and fruity: toffee, molasses, caramel, dried stonefruits, etc. In beer form, this manifests as barleywine. It’s an ale with loads of character, anchored by a malty sweetness. There’s plenty of room in each category to explore nuances and expressions, but so long as you stick with these principles, you can’t go wrong. Happy pairing!